Below you can view all the homes for sale in the Wilsons Crossing subdivision located in Decatur Georgia. 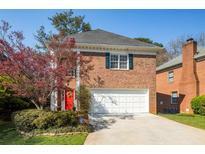 Listings in Wilsons Crossing are updated daily from data we receive from the Atlanta multiple listing service. To learn more about any of these homes or to receive custom notifications when a new property is listed for sale in Wilsons Crossing, give us a call at 404-998-4097. Conveniently Located W/Access To Hwy'S, Emory, Restaurants & W/In Strolling Distance To Parks & Award-Winning East Lake Golf Club! MLS#6538696. Keller Williams Rlty-Ptree Rd. Plenty Of Good Daycare Options Nearby. Great Community For Evening Walks. MLS#6534841. Keller Williams Realty Intown Atl. New Homes Are Being Built Around The Corner In The $750K Range. MLS#8560922. Chapman Hall Premier, Realtors. The Options Are Endless Go See This One Today. MLS#6534451. Chapman Hall Premier Realtors. Fenced Back Yard Is A Park Like Setting With Lots Of Privacy And Established Landscaping. Definitely A Must See!!!! ! 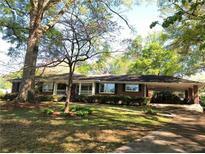 MLS#6515855. Palmerhouse Properties. Solid Wood Plantation Shutters Throughout. Lovely Patio & Backyard. 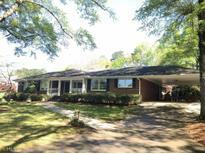 MLS#6101716. Re/Max Metro Atlanta Cityside.